The regally bred Miss Fabulass (l) is favoured to start her campaign on a winning note at Randwick. 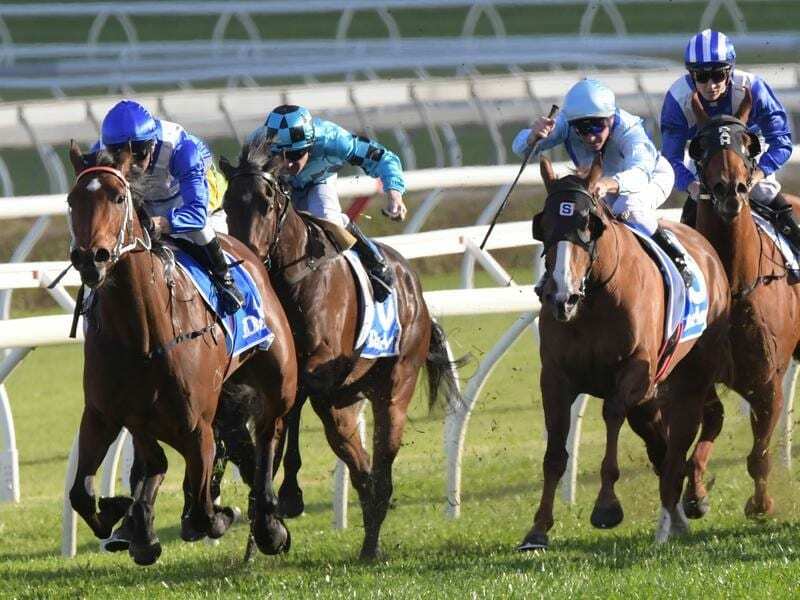 Markets suggest Miss Fabulass is the clear pick of Kris Lees’ two runners in the Light Fingers Stakes at Randwick but the in-form trainer isn’t so sure. Lees says she has matured physically since the spring but still isn’t the complete package and will need luck from a tricky barrier draw in eight. “Physically, she’s fine but she’s still got a few little chinks in her make-up that I think consistent racing will iron out,” he said. “The alley probably means we’ll have to be very neutral out of the barriers so she will probably be ridden further back than she has been. “She’s pretty bombproof. I’m really happy with how she’s going,” he said.